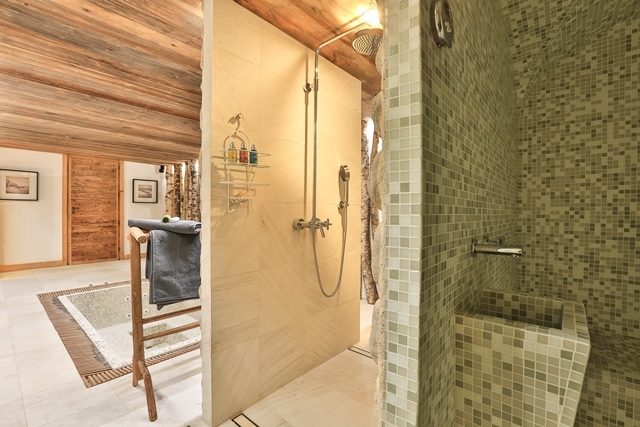 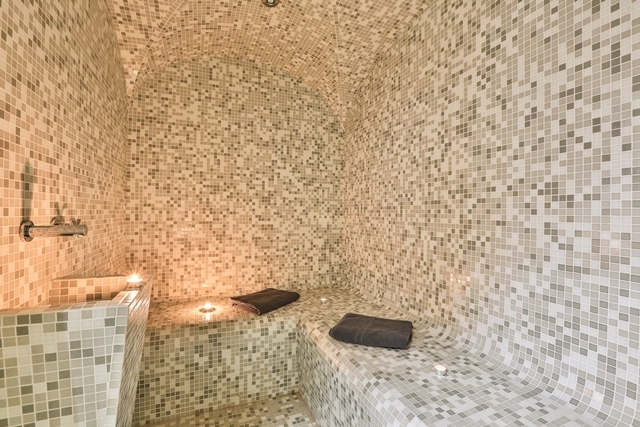 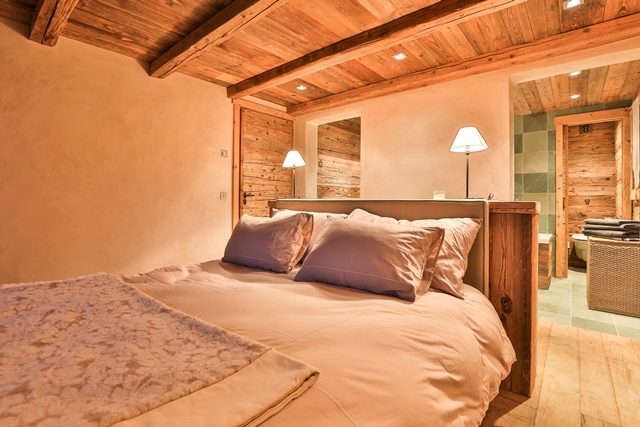 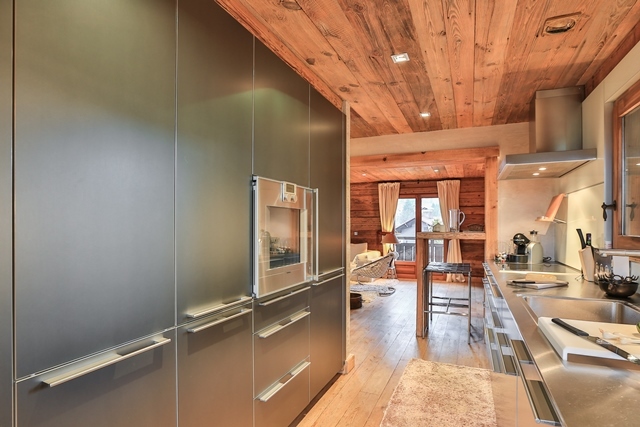 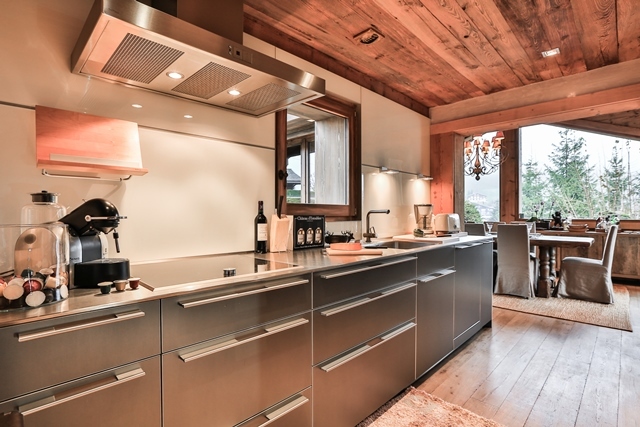 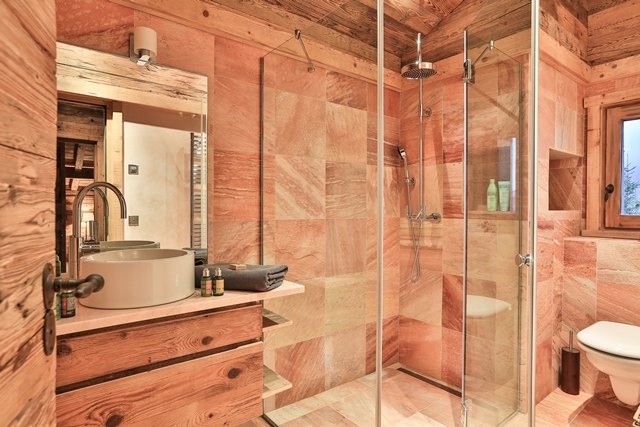 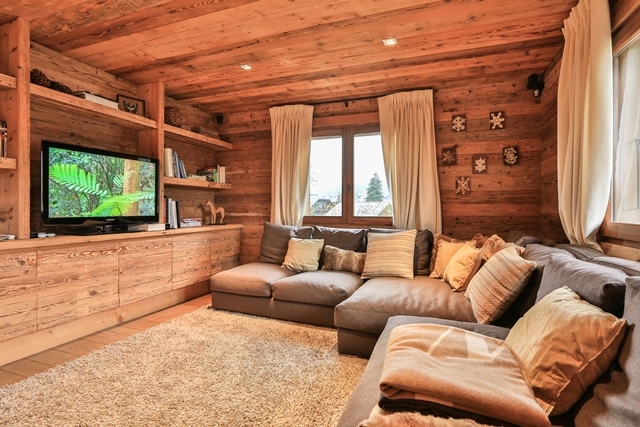 Located in the very center of Megève, at the end of a quiet road. 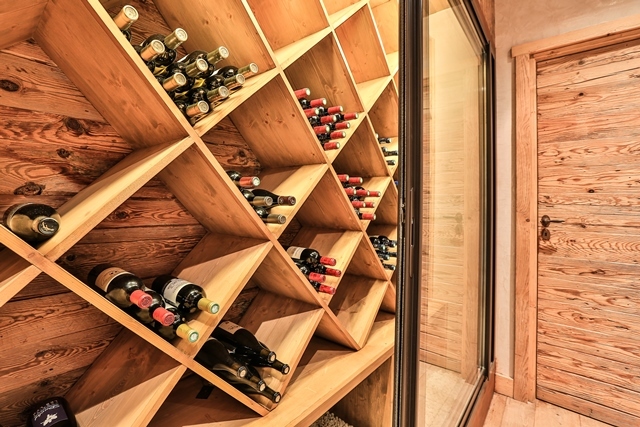 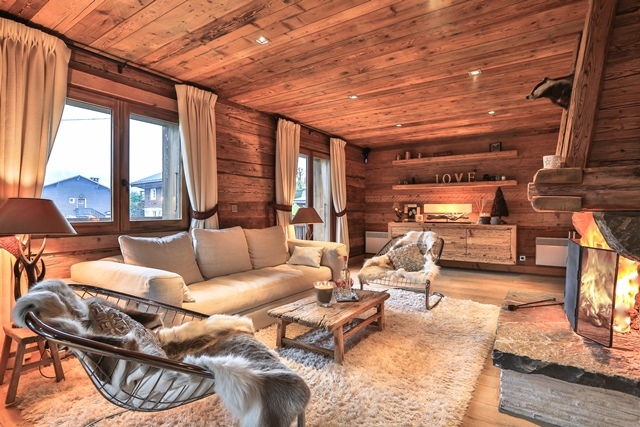 Chalet Inès enjoys en exceptional position, enabling easy access to all commercial places, as well the ski lifts, benefiting an absolute tranquility and a lot of sun. 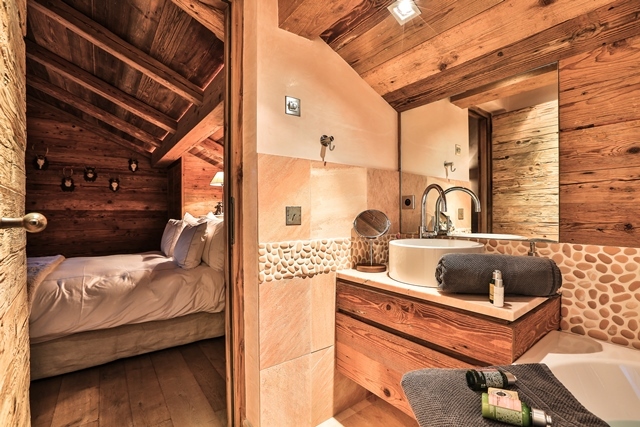 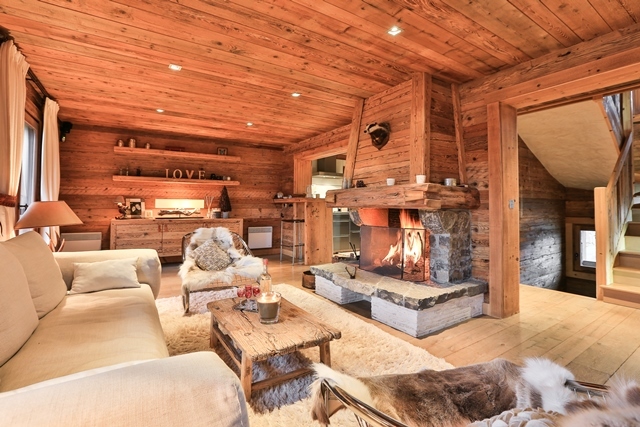 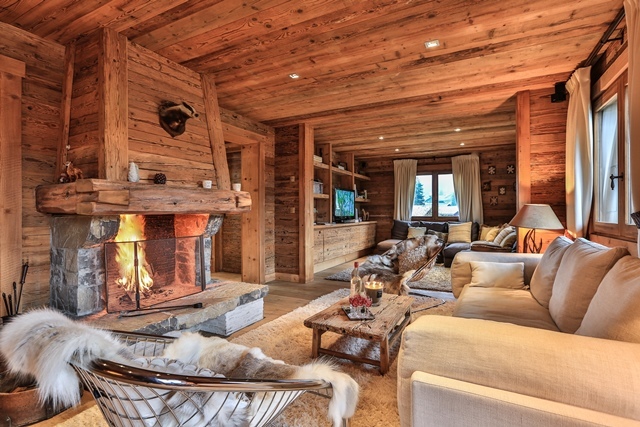 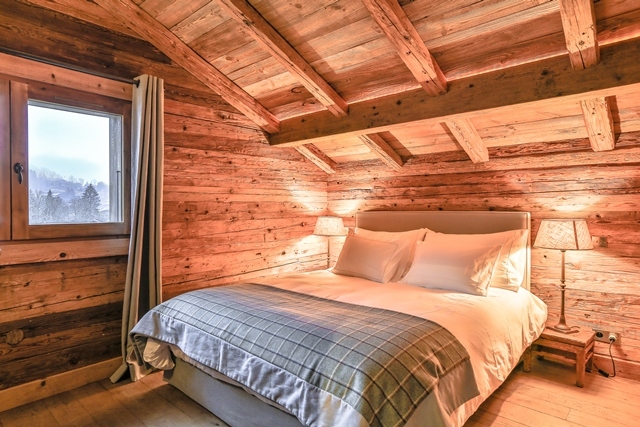 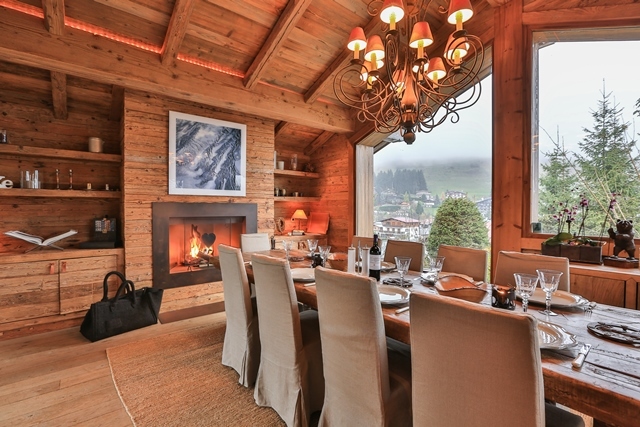 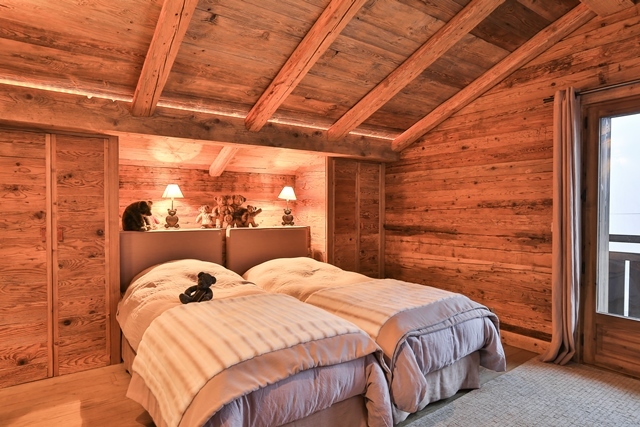 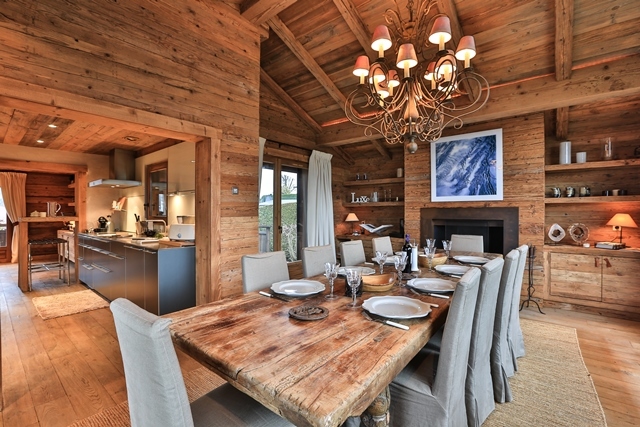 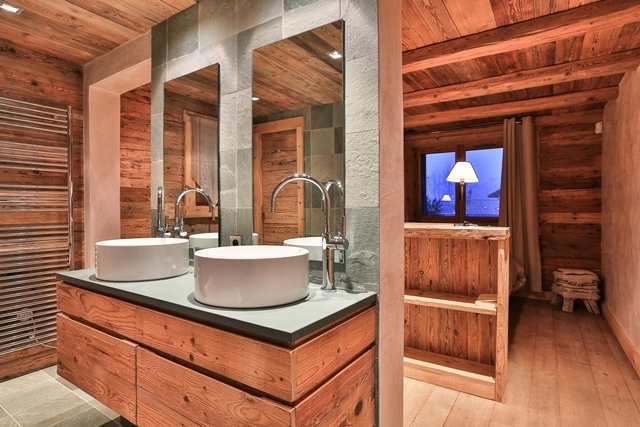 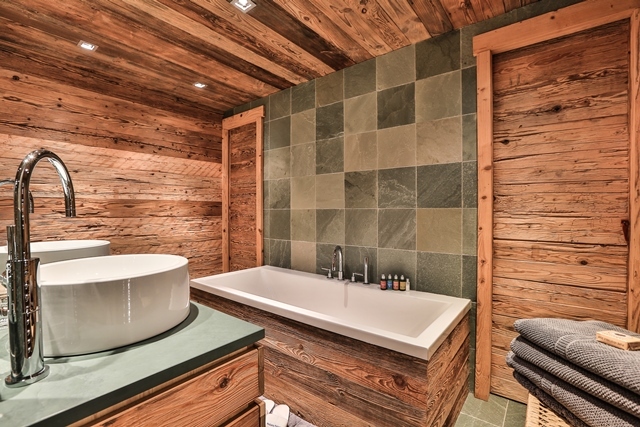 The chalet has been entirely refurbished in old wood, rendering a traditional feel of alpine luxury. 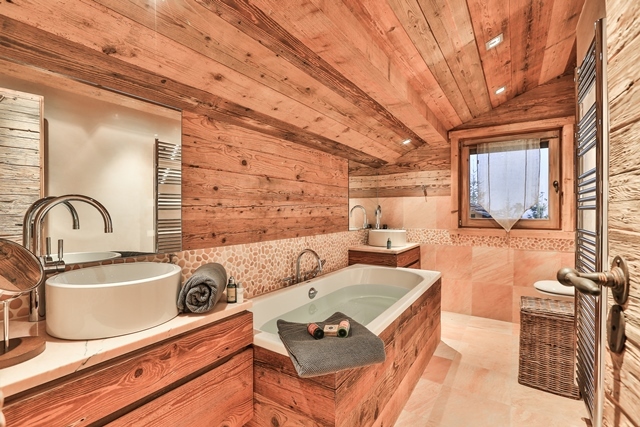 It has contemporary decoration with amenities like a jacuzzi giving it a warm and friendly atmosphere. 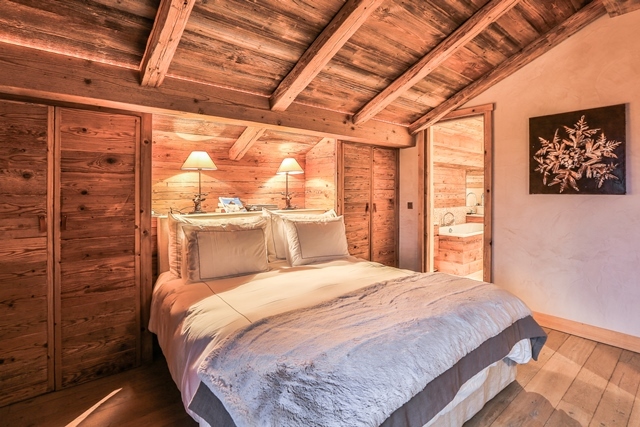 It has large French windows with superb views over Rochebrune and Jaillet. 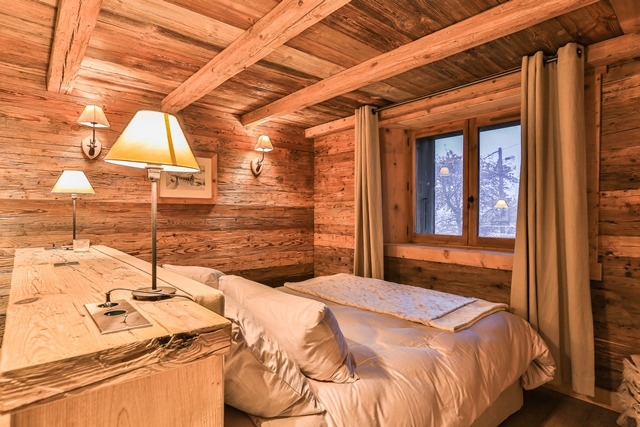 The luxury chalet is ideal for those who do not want to use cars and who want to fully take advantage of the liveliness of the center of the town. 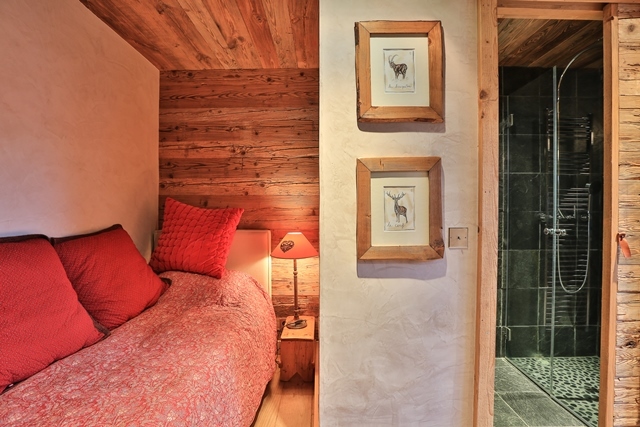 bedroom (bed 90) with shower room, guest toilet.